MOSCOW, Russia, December 6, 2013 (ENS) – A crucial meeting of the five polar bear range states closed today in Moscow but not before government delegates ousted journalists and representatives of nonprofit groups who had been invited to provide input to the meeting. About 20 people were barred. Delegates from the countries that are Parties to the Agreement on the Conservation of Polar Bears – Canada, Greenland/Denmark, Norway, Russia and United States – gave no reason for their action except that they wanted to meet in private to discuss the remainder of the agenda. Teresa Telecky, PhD, director of wildlife at the nonprofit Humane Society International, was one of those ousted from the meeting. “We cannot raise our questions and concerns with the governments in this official forum. These include our concerns that Canada is allowing polar bear hunting at levels that are not sustainable and that exceed Canada’s own hunting quotas,” said Telecky, an expert on the UN Convention on International Trade in Endangered Species CITES. Telecky serves as the executive director and vice president of the Species Survival Network, an international coalition of nongovernmental environmental organizations committed to the promotion, enhancement and strict enforcement of CITES. 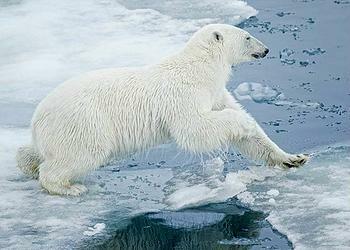 Scientists continue to predict that two-thirds of the world’s polar bears will be lost by 2050. “Canada’s claims at this conference that polar bear hunting is not harming polar bear populations are disingenuous,” said Telecky, referring to a recent report by Canada’s Polar Bear Technical Committee. Scientific experts at the meeting detailed the impact of sea ice loss on polar bear survival, including loss of food sources, loss of body condition, and fewer cubs surviving. In 1973 the Polar Bear Agreement was adopted by five countries within the polar bear’s range to combat overhunting. Polar bears face new challenges as their sea-ice habitat disappears, and countries are struggling to keep up with the changes. Despite the well-recognized threat of global warming, Canada tripled its quota for one already-declining polar bear population and is proposing increases in two other populations. 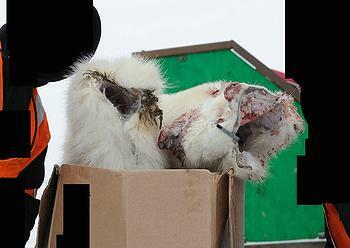 In 2012, 740 polar bears were shot by hunters in Canada – 77 more than the average over the previous five years of 663. Prices for polar bear hides have quadrupled since 2007 to US$22,000 for a single hide, and prices have doubled in the last year alone. Demand for polar bear skins is also growing, particularly in China where skins sell for up to US$80,000 each. At the meeting, polar bear scientists said Thursday that three of the four polar bear populations that are known to be declining are also threatened by hunting. The Polar Bear Specialist Group, an expert science panel created to provide scientific advice on the Agreement, told government delegates that of 19 polar bear subpopulations, four are currently declining, and nine remain too “data deficient” to determine a trend. And while each polar bear population will respond differently to global warming in the short term, the story in the long term is the same – the polar bear faces total extinction within our lifetimes if the world fails to act on climate change, the scientists warned. At the meeting, the Parties to the Polar Bear Agreement agreed to a declaration recognizing the importance of addressing climate change and underscoring that additional stressors, like overharvest, must be reduced. But, said Telecky, specific measures to implement the declaration remain unclear. WWF, the world nature conservation organization, has collected more than 42,000 signatures from all over the world, in a petition presented to the governments of the polar bear range states in an attempt to convince them to take on serious commitments for the polar bear conservation. 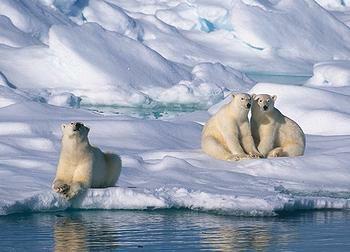 According to very approximate estimates, about 25,000 polar bears live in the Arctic. The petition also asks the range states to complete a global conservation plan, and to work with indigenous peoples, international community, corporations, and organizations to make this work a reality.